The bottom door horizontal vacuum heat treatment furnace is an economical solution for large and dense load. This is a very effective system for heat treatment (hardening and tempering, aging, stress elimination, solid solution treatment, annealing) and brazing and diffusion bonding. It is very suitable for moving heavy loads of hundreds of kilograms and ensuring maximum safety. The motor guide rail product loaded with the door can make full use of its length to move the parts into/out of the vacuum furnace. 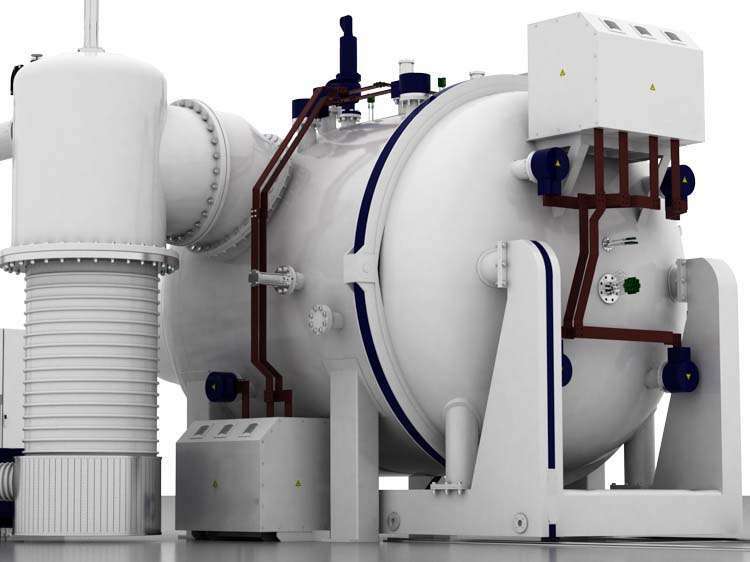 The unique configuration of the car bottom vacuum furnace can let you lift the load of large volume, heavy or fragile, saving manpower. With its special layout, thermocouple sensors can be more easily positioned throughout the furnace, reaching “hard-to-reach points”. The system is equipped with six self-controlled heating areas. By virtue of its flexibility, you can reduce cycle time and ensure that the workload is accurate and evenly heated.